What: LifeRing Secular Recovery group. When: Meetings are 6 to 7 p.m. each Wednesday. Where: Trinity Baptist Church, 90 Lariat Loop, Edwards. Cost: Free; reservations are not required. More information: Email Erika Salvador at liferingvail@yahoo.com for more information on the Edwards chapter. To learn more about the organization and chapters around the country, visit www.lifering.org. Editor’s note: The names of LifeRing Secular Recovery meeting participants have been changed in this article to protect their identities. 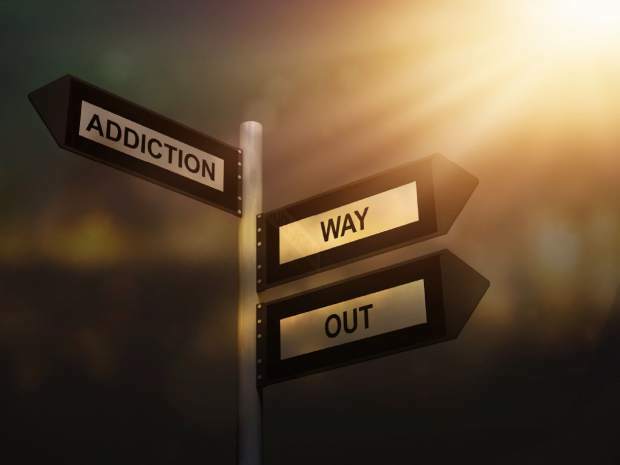 EDWARDS — Each Wednesday evening, recovering addicts meet to discuss their ongoing sobriety, successes, road bumps, highlights and possible mishaps along the way. This is a group called LifeRing Secular Recovery. “We welcome everyone without distinction,” she said. “There is nothing wrong with Alcoholics Anonymous or their 12 Step Program. They have and continue to help many people with their sobriety. This is just different. LifeRing, which began in California in 1997, believes that a person’s sobriety must be his or her most important thing in life. The organization does not believe in a prescribed set of steps that everyone needs to follow. The three basic tenets are sobriety, secularity and self-help. Salvador, 40, was initially introduced to LifeRing while attending an inpatient holistic treatment facility. After she was clean and sober for more than a year and an attendee at LifeRing meetings, Salvador became a convener, or group leader. In May 2017, she led the first meeting of Vail Valley LifeRing. There is cross talking in the meeting, so attendees can share thoughts, as opposed to AA, where only one person at a time speaks. Meetings begin with an opening statement that the convener reads. Each participant “checks in” and talks about his or her week and the upcoming week ahead. Cross talk is encouraged, and only helpful or positive comments are requested. Participants state what they plan to do to stay clean and sober during the coming week. Susan, another participant, shared that she had a rough week, as she was headed back to school to learn a new profession. She admitted that because she was “juggling” many things, the upcoming week would be difficult. She is still moving to a clean and sober life but is not quite there yet. Steve spoke of learning to manage his addiction and fears that when people discover who he is, they might not accept him. “We can call each other when we want, but we don’t have sponsors like AA,” Salvador said. “There are also no awards, such as sobriety for six months. Again, there are different tools in the toolbox and no way is right or wrong. LifeRing has a workbook, “Recovery by Choice,” and a guidebook, “Empowering Your Sober Self,” for purchase, but those are not mandatory. The only requirement to attend is a person must be clean and sober that day. Susan felt more comfortable coming to LifeRing and not knowing if she would “get sober or not.” She did not want to abide by AA rules, and she did not want to admit that she was “powerless,” which is the first of the 12 Steps. “I have every power in the world not to pick up that first drink,” Salvador said. “Alcoholism is a disease like diabetes. It is not an illness,” she continued. “We address this as a disease that we have power over,” Salvador.